The Hornby name has been synonymous with trusted advice over the years and something they are extremely proud to maintain. John Hornby is a former Chairman and Managing Director of a listed plc which brings a definite commercial edge to any advice. Last year his corporate finance skills saw him as the key advisor on a business acquisition by a FTSE top 100 company. However many clients still remember him as head boy at Dowdales School many years ago. It’s because both Hornby’s were born and raised locally that their knowledge of the business environment in the Furness area is second to none. This depth of affiliation with the local area not only endears them to clients but ensures their advice is pro-active, easy to understand, robust and is given in a friendly and personal environment. When John founded the firm over two decades ago he brought to the local area skills and knowledge acquired from a lifetime in international business. Dealing with law firms and accountants on a world wide scale John applied this to local clients and the firm expanded rapidly. It was uncharted territory but clients obtained real benefits from his unique tax knowledge. This knowledge has also seen him on occasions provide expert witness opinion. When Paul Hornby joined the practice in 2000 he significantly raised the profile of the firm and undertook a rapid growth programme. 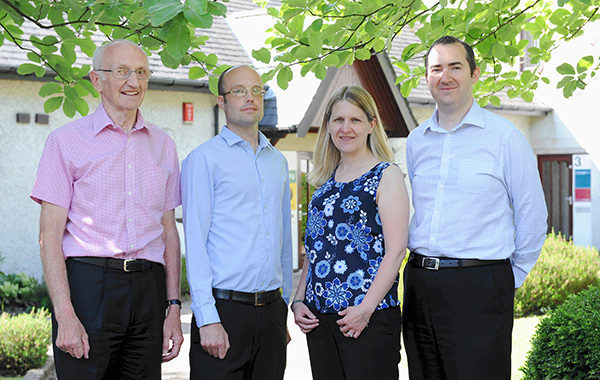 In 2012 their in house tax boutique was launched which focuses on bespoke tax planning arrangements. Notable success to date has included a retail business in Yorkshire which has saved over £1m in corporate taxes. The focus on tax doesn’t stop there, Paul specialises in tax efficient profit extraction, tax reduction for high net worth individuals, research and development tax credits and inheritance tax planning. Offering such a bespoke specialist service the firm have clients nationwide including one of the wealthiest families in the UK. Such has been the overwhelming growth of the firm that in 2015 they appointed two new divisional directors. Long standing team members and experienced accountants Beverley Hornby and Tom Southward now play an active part in taking the firm forward. Whilst the firm prides itself on its dedication and service to clients there comes with this an even greater responsibility not to lose these values. Beverley and Tom both share the firm’s ethos and over the years have built excellent relationships with clients which will ensure the firm continues its excellent standards. Beverley is also Paul’s wife which not only strengthens the family links of the firm but ensures they will always go that extra mile for clients.